Coinciding with the World Rare Disease Day, Notre Dame acknowledges a recent, generous gift from Notre Dame parents David and Cathleen Reisenauer of Morgan Hill, Calif., which will allow the Warren Family Research Center for Drug Discovery and Development to initiate a new area of research, focusing on the rare disease glycogen storage disease type III (GSDIII), also known as Cori Disease. The Reisenauers, who have a strong, long-standing commitment to Notre Dame, have three children, all of whom are affected by the disease. The two oldest, Peter and Cayla, have GSDIII, and younger brother Andrew is a carrier, meaning the gene is recessive in him. Peter is a 2011 graduate of Notre Dame who also earned a law degree from the University of Southern California. Andrew is currently a sophomore at Notre Dame. Hoping to advance research on the disease, David and Cathleen reached out to Notre Dame to learn what, if anything, researchers were working on regarding this disease. “As members of the Notre Dame family affected by a rare disease, we firmly believe in what the Warren Family Research Center is doing. For us, this is a long-term acknowledgment of the research that Notre Dame has committed to,” Cathleen Reisenauer said. Although no research specific to GSDIII was underway at Notre Dame, researchers had related expertise. Professor Rich Taylor assembled a team of faculty affiliated with Warren Family Research Center for Drug Discovery and Development and external collaborators to draw on their expertise to initiate research on GSDIII. According to the National Institute of Health, GSDIII is an inherited disorder caused by the buildup of a complex sugar called glycogen in the body’s cells. The accumulated glycogen impairs the function of certain organs and tissues, especially the liver and muscles. Beginning in infancy, individuals with GSDIII may have low blood sugar, excess fats in the blood, and elevated blood levels of liver enzymes. Children with this condition typically develop an enlarged liver, and while liver size usually returns to normal during adolescence, some affected individuals experience cirrhosis and liver failure later in life. In the United States, the disease occurs in approximately 1 of 100,000 people (about 3,190 in total) and affects all ethnic groups. GSDIII represents an unmet clinical need as current treatments are limited to disease-modifying-symptomatic treatments through regulation of diet. The new research project at the Warren Center joins other centers and institutes at Notre Dame committed to studying rare diseases, including Harper Cancer Research Institute, Center for Stem Cells and Regenerative Medicine, and the Boler-Parseghian Center for Rare & Neglected Diseases, which hosted a World Rare Disease Day Conference earlier in February. Taylor commented, “We would like to express our enthusiasm and appreciation of the support received from the Reisenauer family.” He also expressed his excitement for the continued growth of the Warren Center, which enables Notre Dame researchers to have a significant impact for those in need. 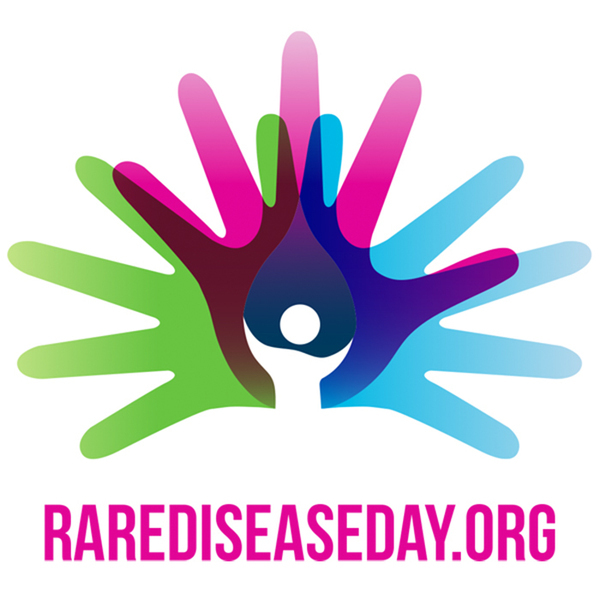 “February 28,, 2017, marks the 10th World Rare Disease Day the slogan of which is, ‘With Research, the possibilities are limitless’ and we couldn’t agree more,” he added. The Warren Family Research Center for Drug Discovery and Development was established in 2014 thanks to a generous gift from the The William K. Warren Foundation of Tulsa, Okla. The Warren Center builds upon a core group of highly productive, externally funded research programs focused on the discovery and development of new therapeutic leads for the treatment of unmet clinical needs in cancer; diseases such as malaria, tuberculosis, MRSA, stroke and Alzheimer’s, and rare and neglected diseases. Originally published by Chontel Syfox and Tammi Freehling at science.nd.edu on February 28, 2017.